Home Education What is a TMJ specialist? With no formal qualification for a TMJ specialist in Australia, you need to find the right healthcare professional to help you. There is no recognised speciality for TMJ syndrome treatment in Australia. So, quite often what you’ll find is a lot of general dentists, physiotherapists and osteopaths treating TMJ with limited training. That, or they refer out. To get the best results, and get them quickly, you want a team who has decades of combined experience. Whose treatment options are tailored to your needs and lifestyle. This way you receive the best care for your needs rather than a treatment that should work for TMJ syndrome in general. What you need is a team with over 50 years’ combined experience. You need a team who, uniquely, combine dental and chiropractic treatment to treat your TMJ concerns. TMJ Centre Melbourne is the first multi practitioner heath care centre dedicated to treating TMJ dysfunction/syndrome. Our centre does what only a few others can do. 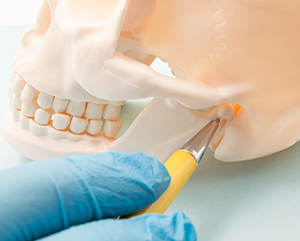 We provide fast and effective treatments for TMJ syndrome. The TMJ Centre Melbourne team noticed that if a patient sees a dentist and a chiropractor at the same appointment, the holistic solution offered helps patients receive a level of care that is unique to the individual, allowing them to get better faster. Which is really what we all want. No one likes being in pain or discomfort. So, if seeing a dentist and a chiropractor at the same time is going to help speed up the healing process—who wouldn’t want that? Before treatment, you will receive a dynamic and comprehensive diagnosis to ensure that it is actually your jaw which is causing the problems. This is not to doubt your own judgement. This is to ensure that the jaw is causing the problems rather than being symptomatic of other health issues. By having your diagnosis performed by a chiropractor and dentist, your entire body will be assessed and considered when getting treatment. At TMJ Centre Melbourne our emphasis is on non-surgical treatment. The aim of this is to take away the stresses from the temporomandibular joint to allow your body itself. 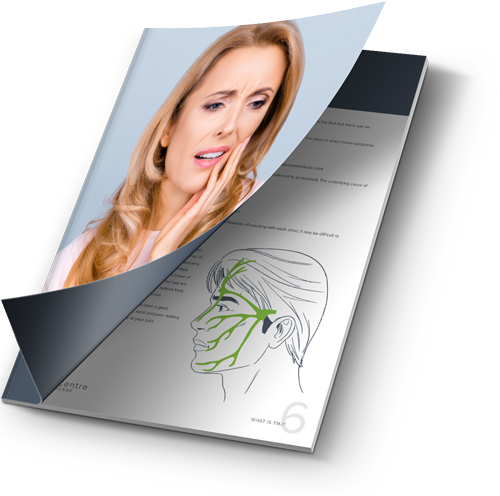 If you would like to know more about fast and effective TMJ syndrome relief, please contact us today.